Feng Shui Consultants of Boca Raton and Zen Appeal have added a new item at Zen Appeal. We have added the Mah Jong Key Chain to our Feng Shui Products 10 Dollars and Under http://www.bocafengshui.com/fengshui10dollars.html page. 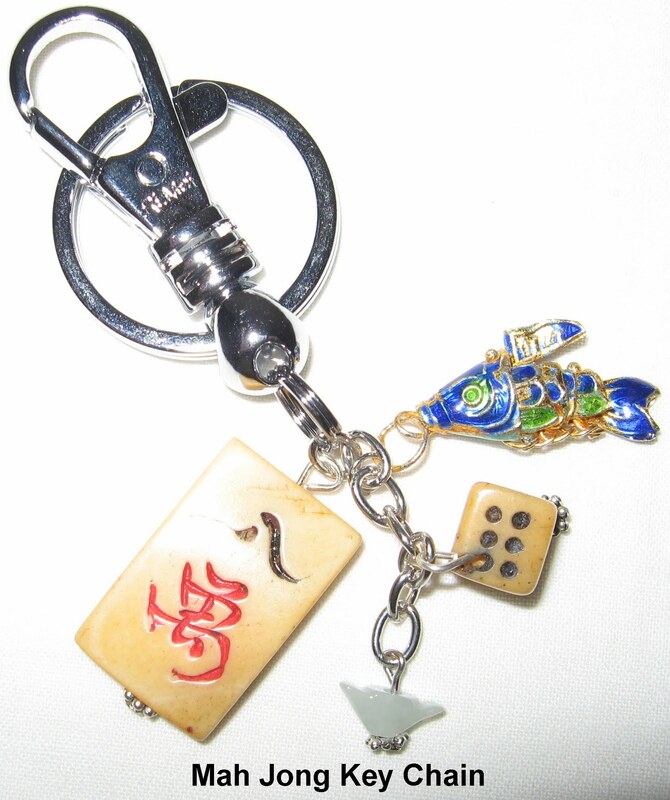 The Mah Jong Key Chain is a compact way to carry a variety of lucky charms with you every day. We do not endorse gambling, but if you do. . . . Sneak Preview of upcoming products! Future products include: Dragon Phoenix Hanger, Mah Jong Key Chain, Buddha Mouse Pad, Feng Shui Gold Fish, and Butterfly Love Hanger. One Day Anniversary Sale Tuesday, January 18, only. Free Feng Shui Gift with ALL orders from Zen Appeal when you type Happy Anniversary! in the note section of your order. If your forget the note, it is also acceptable to e-mail us "Happy Anniversary" on Tuesday January 18, only after ordering from our website. Order and anniversary wishes must be made on Tuesday January 18 to receive free gift. Feng Shui Consultants of Boca Raton is celebrating its 10th Anniversary in 2011! We started our business in March, 2001 to combine ancient eastern techniques and tools of Feng Shui with our modern western counseling skills and industrial and organization psychology skills. Over the years, a lot has changed. In addition to our in person Feng Shui Consultations, we added E-Consults - online Feng Shui Consultations. Many of you were our early clients. Soon after we started selling Feng Shui products first on another website, then on Zen Appeal. Many of you were our customers in the early days. Later we moved both websites to our own domain and combined them. Recently we moved into the world of social networking and started blogging and Facebooking. We started this newsletter in 2001, and many of you are original readers! With all the change, many things remain stable including our goals. Our goal is still to Feng Shui the world one home at a time. One by one we are succeeding. Thank you all for your support. We are a family business and you are a part of our family. Thank you for growing and learning with us, we look forward to many more decades of peace, harmony and prosperity with you. Turn on your light by your entrance. It will increase energy in that Bagua area and bring positive energy into your home. My son won't sleep in his own room and I'd like to get him out of my bed and into his own. Mark and Leslie, is there a Feng Shui cure? Thank you for your question. Often children are afraid of their bedrooms. They need to feel safe to be able to sleep there. First make sure there is nothing in the room that might seem scary to your son. Clowns, fierce animals, pirates, etc. that often look cute to adults can frighten a child. Try to look at the bedroom and imagine it from his height and perspective. Add your photo, so you will still be with him. An additional way to protect him is to add an elephant. We recommend the Painted Royal Elephant. It can be placed by your child's bed to help him feel safe in his own room. You can find our Painted Royal Elephant on our Feng Shui Elephants page http://www.bocafengshui.com/elephants.html . Zen Appeal has a page dedicated to special sale items, each available for a limited time only. Sale items come and go without warning, so please check the page often and enjoy the big discounts! Here's the link to the Zen Appeal Sale Page http://www.yourfengshuistore.com/On-Sale_c_23.html . Featured Sale Items include - Swarovski Bagua Hanging Crystal, Rose Quartz Heart Crystal, Swarovski Crystal Heart Necklace, Golden Headed Turtle, White Lucky Cat Happy Business, Dragon Gong Bell, Chinese Coin Cord Necklace, Long Life Character, Dream Big Dream Catcher, Large Prosperity Word Stone, Angel of Healing, Longevity Bracelet, Kwan Yin Bell Key Chain, Silver Chinese Coin Necklace, 50 mm Hanging Crystal, Bagua Coin, and more! Savings up to 40% off on some items! Some of our most popular items are on sale! Sale Prices starting as low as $5.00! Plus special Buy One Get One Free deals. All on our Feng Shui Sale page http://www.yourfengshuistore.com/On-Sale_c_23.html . Back by popular demand are FIVE of your favorite things! The Dragon Hanger, Phoenix Hanger, Dragon Gong Bell, Fertility Elephant Bell, and New Job Gift Set have all returned to stock. Now that the Dragon Hanger is back, you can use it to help you control situations and your own life, especially economic issues. You can find it on the Zen Appeal Feng Shui Hanger page http://www.bocafengshui.com/hangers.html . Since the Phoenix Hanger is back, you can use it to help you change your luck from bad to good and network with important people. You can find it on the Zen Appeal Feng Shui Hanger page http://www.bocafengshui.com/hangers.html . Because the Dragon Gong Bell is back, you can use it to help you meditate, clear your space and call in the energy you need. You can find it on the Zen Appeal Feng Shui Bells page http://www.bocafengshui.com/bells.html . The Fertility Elephant Bell is back, you can use it to help you have a safe and healthy pregnancy. You can find it on the Zen Appeal Feng Shui Fertility page http://www.bocafengshui.com/fertility.html . And the New Job Gift Set is back, you can use it to help you get a job, keep a job, or get a promotion or raise. You can find it on the Zen Appeal Feng Shui Gift Set page http://www.bocafengshui.com/fengshuigiftsets.html . Check out our Feng Shui Blog at http://fengshuiconsultation.blogspot.com/ . We have continued to post on our Blog about our site updates. We also post updates when new products are added to Zen Appeal and when both the Zen Appeal Sale Page http://www.yourfengshuistore.com/On-Sale_c_23.html and Feng Shui Tip of the Month http://www.yourfengshuistore.com/Tips_ep_58.html are updated. Currently our Blog has archived newsletters June 2008 - December 2010. Our Blog links to our Zen Appeal Facebook page http://www.facebook.com/pages/Zen-Appeal/78446913463 and Feng Shui Hangout our Facebook group https://www.facebook.com/groups/79497550403/ , where you can comment and ask us questions that we will answer. Please continue to enjoy! but ancient techniches and science combine. who knew she really cared? Feng Shui Consultants of Boca Raton and Zen Appeal have added January's Feng Shui Tip of the Month. Please visit http://www.yourfengshuistore.com/Tips_ep_58.html to read it and find out how to Lose Weight with Feng Shui. You can attain your optimal, healthy weight using the principals of Feng Shui. This article tells you how to use different Feng Shui Bagua areas to your advantage in your weight loss journey and about retraining your brain. If you know me, then you already know how well this worked for me. Here's the beginning of the article, to get you started: Many of my Feng Shui clients have asked me how Feng Shui has played a role in my weight loss. Retraining your brain to see yourself in a positive light is part of Feng Shui. Please visit http://www.yourfengshuistore.com/Tips_ep_58.html to read the rest of the Feng Shui article. Ring in the New Year and our Tenth Anniversary with our special Anniversary celebration deals. Make sure to check out all the great deals we have for you at our Feng Shui Sale page http://www.yourfengshuistore.com/On-Sale_c_23.html . At Zen Appeal the January Sale items have been added. We have great prices, just for you, on our Sale page. 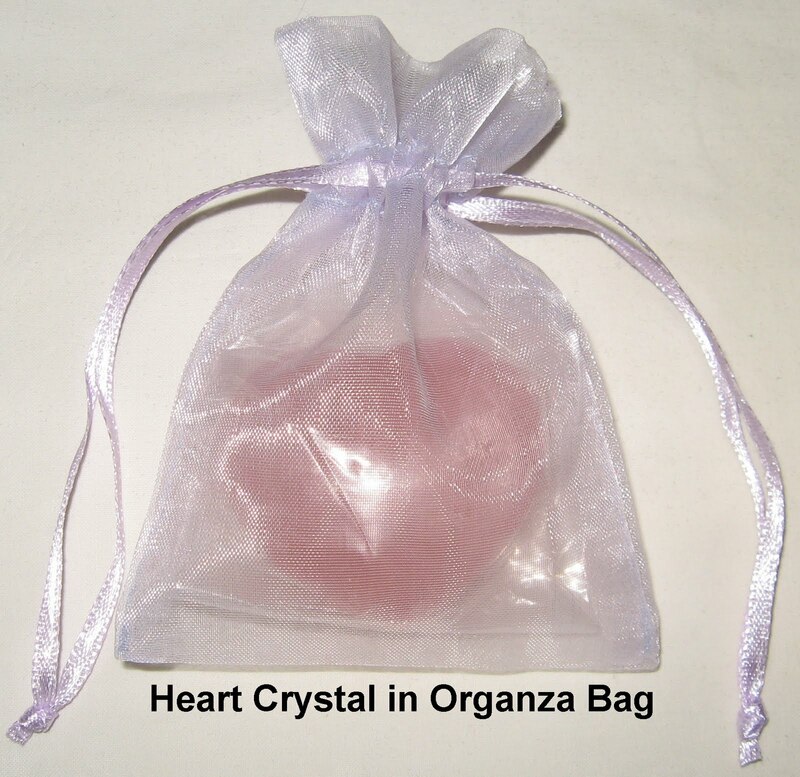 Some of our new sale items include our Swarovski Bagua Hanging Crystal, Rose Quartz Heart Crystal, Swarovski Crystal Heart Necklace, Golden Headed Turtle, White Lucky Cat Happy Business, and Dragon Gong Bell. Plus we still have some of our prior months' Buy One Get One Free and Double Deals remaining. Please visit our Zen Appeal Feng Shui Product Sale page http://www.yourfengshuistore.com/On-Sale_c_23.html to see all the great discounts for yourself. Savings up to 40% off on some items! Some of our most popular items are on sale! Sale Prices starting as low as $5.00! Don't forget, Free Shipping for all orders $50 and over.